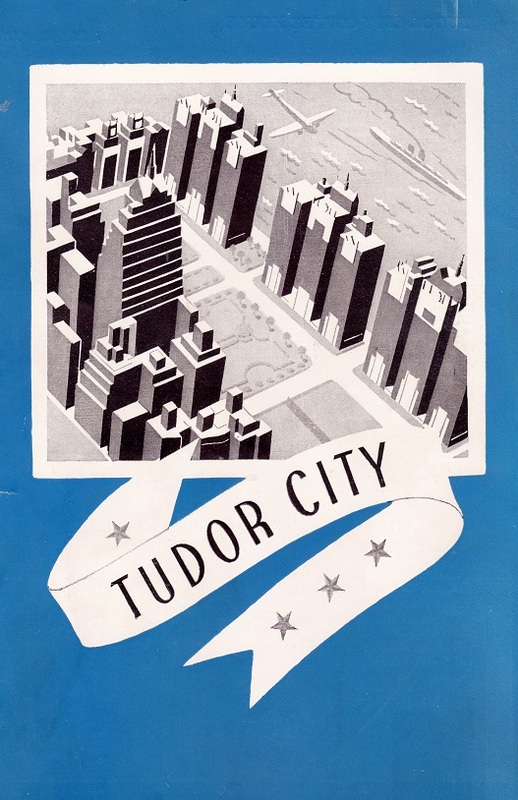 The construction of the United Nations, begun in 1948, led to significant changes in Tudor City, part of the city's effort to clean up the immediate neighborhood, particularly the area around the UN’s signature building, the Secretariat. We'll explore specific alterations in more detail in future posts, but here’s an overview of the changes wrought by the UN's arrival. Looking toward the river along 42nd Street from 2nd Avenue, pre-Tudor City. 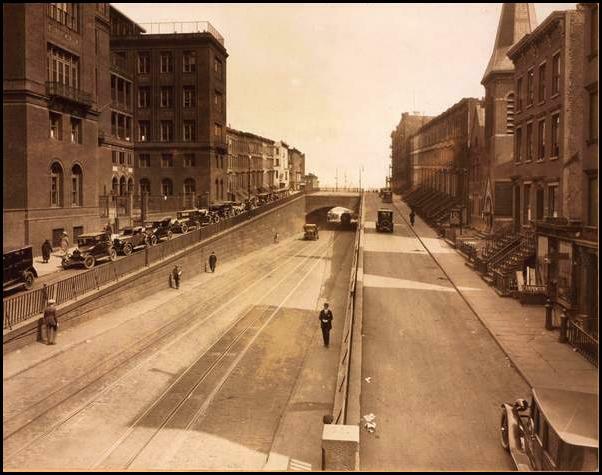 42nd Street was then flanked by two ramp-like service roads leading up to Prospect Place. These roads were demolished and the street widened and leveled to provide a more monumental entrance to the UN. 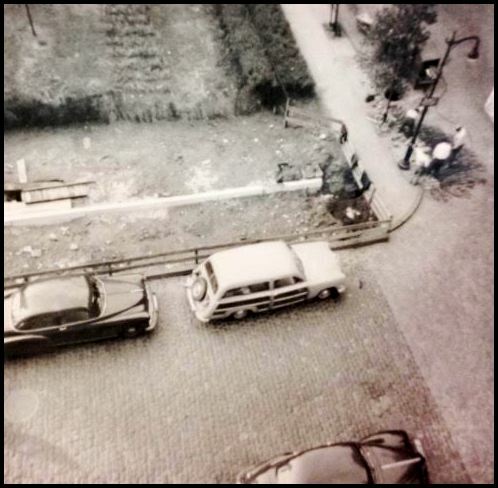 Same view as above, during reconstruction in 1950. By eliminating the service road ramps, the Woodstock's original entrance was now 17 feet above street level, and so its basement was remade into the ground floor. 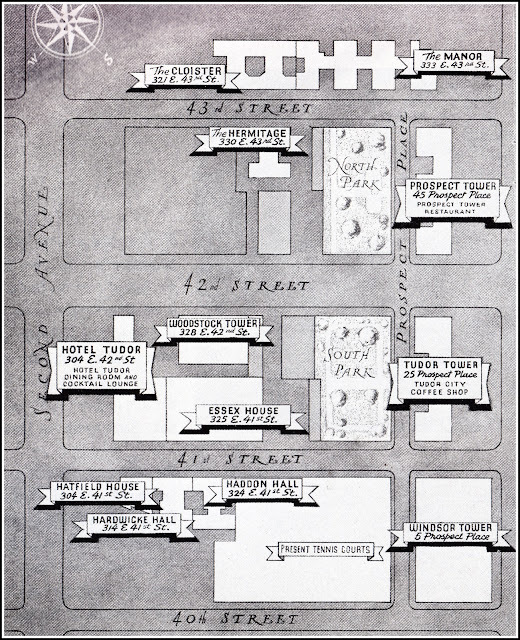 Similar alterations were made to the entrances of the Hotel Tudor and Church of the Covenant. 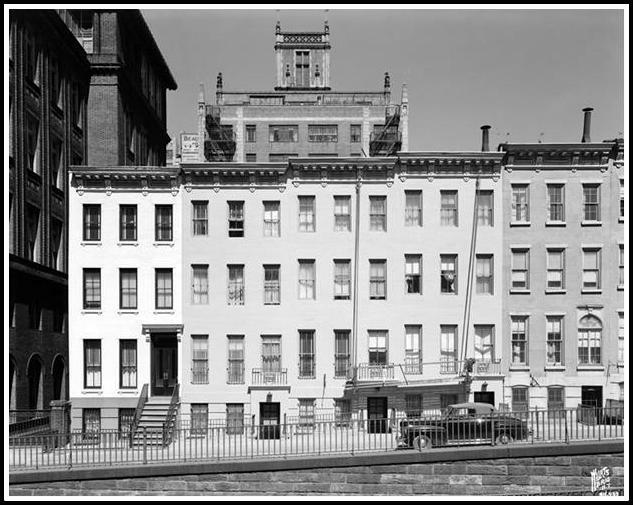 Rowhouses on 42nd Street (owned by the French Company but never developed) were demolished , along with the service roads in front of them. In their place today stand a playground and stone staircases up to Tudor City Place. 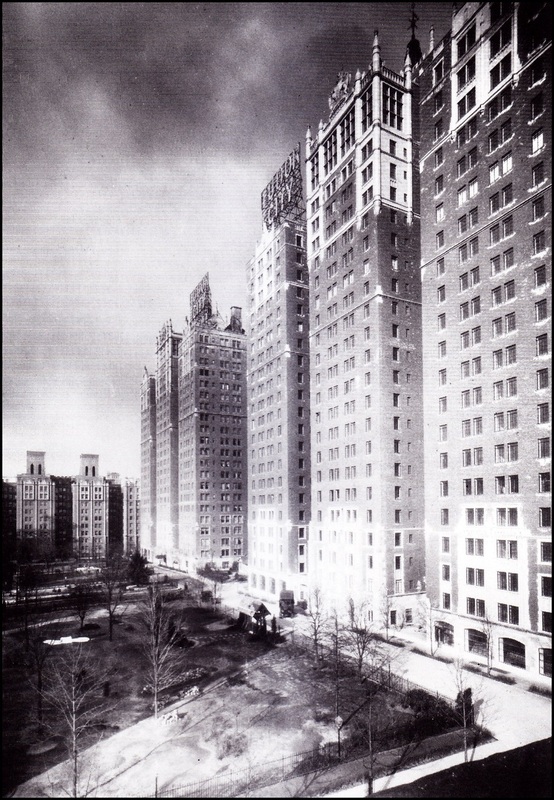 Above, the north side of 42nd St, with The Cloister at top center. 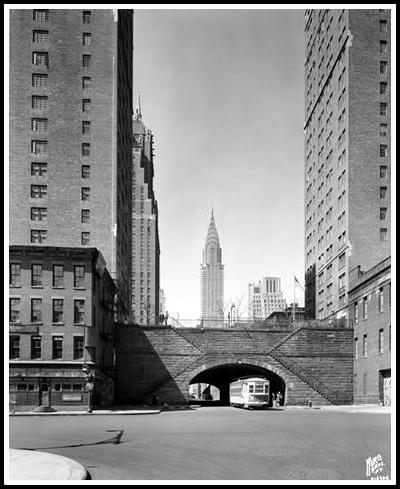 The two-lane 42nd Street Tunnel, built in 1880, was a renowned traffic bottleneck for years, and replaced by a sleeker bridge in 1952. 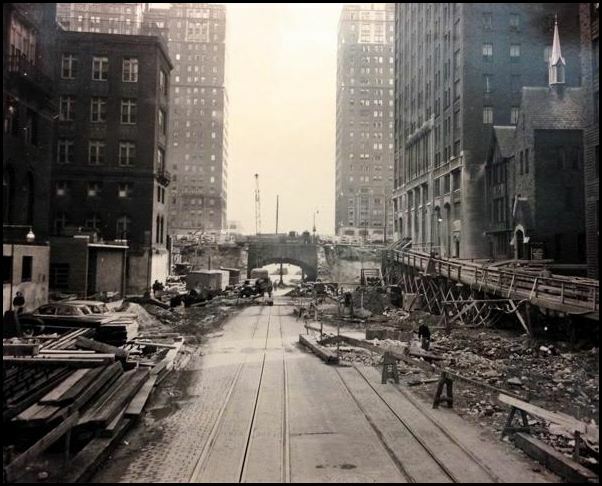 Above, the original tunnel, looking west down 42nd Street. Changes to the eastern walls of No. 25 and No. 45. 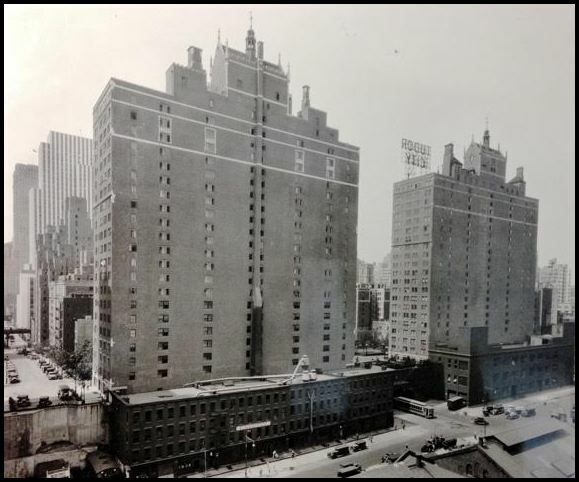 The eastern walls of Tudor and Prospect Towers along First Ave were originally lined by warehouses at street level. They were demolished and replaced by two vest-pocket parks. 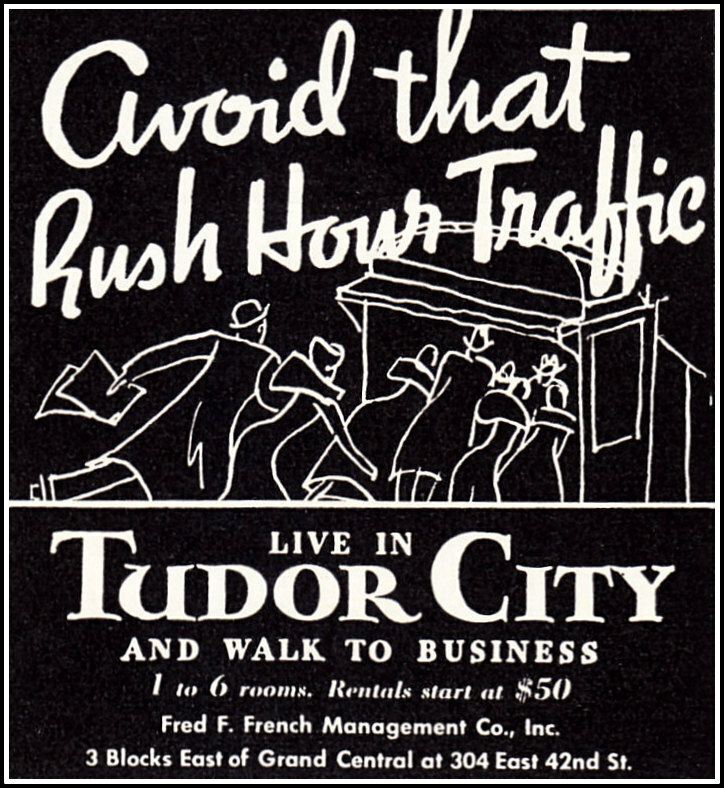 Tudor City Place widened and paved with asphalt. Parks are narrowed 15 feet. 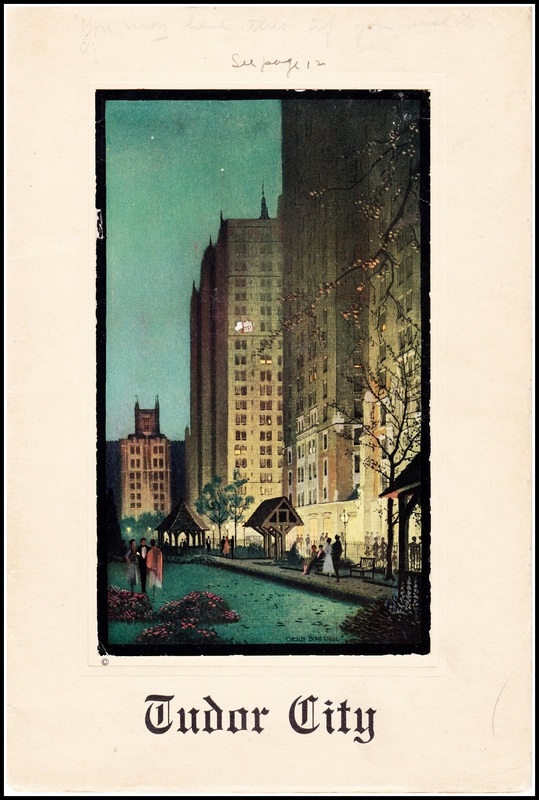 Corner of Tudor City Place and 43rd Street, with the narrowing of the park just begun. 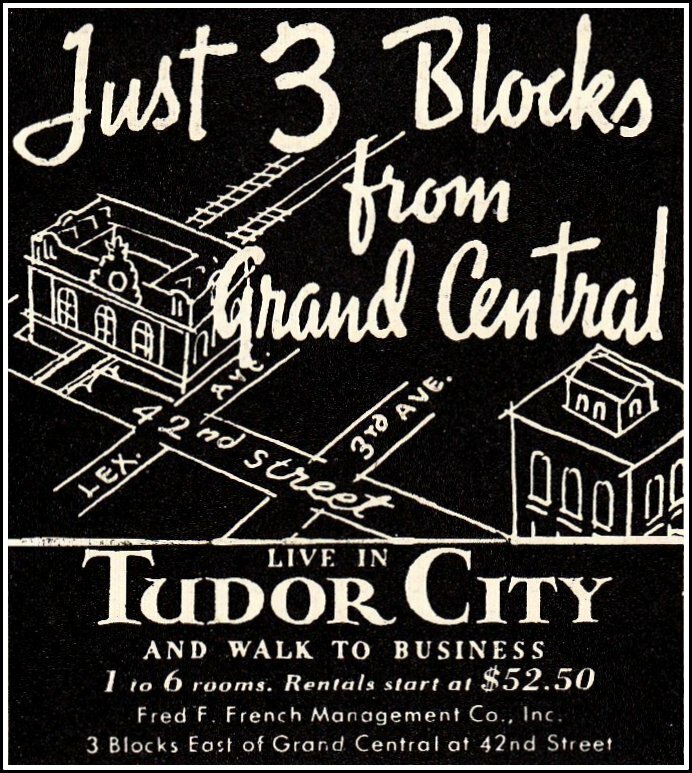 All these alterations took place over a hellish four-year period from 1948 to 1952, probably the worst four years in Tudor City history. Detours, jackhammers, explosions and soot galore made life difficult. 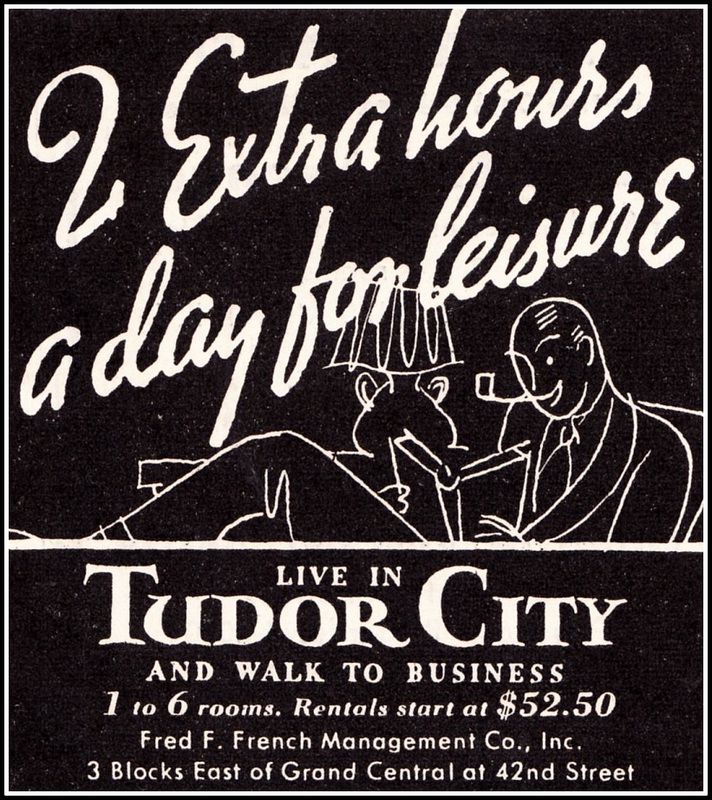 Residents fought every change tooth and nail, but that's totally in character -- as we shall see in future posts, Tudor City has always been a very vocal community. Is the Windsor Tower's First Avenue arcade a result of the widening of First Avenue during this period, or was it part of the building's original design? Thank you for this blog, and all the pictures! The arcade is part of the original design, and once housed a radio shop and a Studebaker showroom. I'm a bit confused. Do you mean the radio shop and Studebaker showroom were entered from the arcade, or the arcade was enclosed? I'm wondering why the French Company gave up the potential income from enclosed, rentable space, for a public area. On the east side of Broadway opposite Lincoln Center are similar arcades, but they are mandated by a zoning law which compensates developers by allowing a larger building -- and therefore more income -- than would otherwise be permitted.